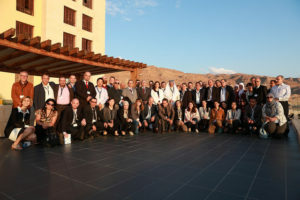 The ESP organized its first regional conference in the MENA region, in Dead Sea, Jordan. The conference welcomed everyone with an interest in the region and ecosystem services to take part in this event. The conference was held under the theme ‘Enhancing ecosystem services through ecological restoration for nature and people’. Rapid land degradation, unsustainable land use and weak land use planning (including weak rangeland management) desertification, increasing drought and decreasing vegetation cover, as well as severe climate change vulnerability, might be the crucial, dominant issues that most MENA countries have in common. Understanding that ecosystem services are not lost forever once an area and/or landscape element are degraded heavily, but that restoration measures and rehabilitation programmes can also successfully revive ecosystem services is crucial.